Hello everyone! How's your day? My deepest thanks to Misty for hosting Camera Critters and make this meme a successful one. 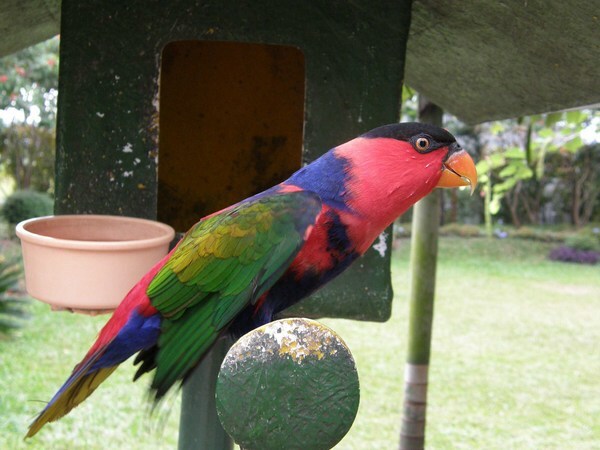 Here's my simple contribution for this week, a colorful and beautiful bird that I took when I was still in my beloved country Philippines. This bird belongs to my friend Lina 30 miles away from my home. Her daughter Sheila name this bird as Sweetie and she loves to feed this every morning before going to school. By the way, are you looking for the best Ferrari parts online? Ricambiamerica.com is one of the best suppliers of Ferrari, Maserati, and Lamborghini parts, tools and accessories. It's guaranteed new, original and high quality products. If you are interested just log in the website and order online. To all my friends in blogging, if you love to join this interesting meme just visit Camera Critters, participate and don't forget to add your URL in auto link. God bless and have a nice day to all. Such a colorful pet! Lucky your friend!! Oh wow! What a lovely colorful bird! Where did she get it and what bird is it? Is it a parrot? Very nice! I also have my camera critter photo and found you on their site.